Nick Page brings a wealth of technical experience to Evolve IP with a solid background in network engineering and platform management. As Vice President of Network Services, Mr. Page is responsible for managing and supporting Evolve IP’s various engineering groups, network platforms, and data center facilities. He is also responsible for the company’s Customer Support services, providing a general structure and management philosophy used to provide day-to-day support to the thousands of customers utilizing Evolve IP’s services. 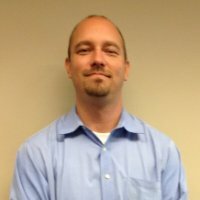 Prior to joining Evolve IP, Mr. Page served as Manager of Network Integration for ATX Communications, where he managed an engineering team whose responsibilities included network design and readiness evaluations for prospective clients, as well as performing new or complex network and server installations as contracted by ATX’s existing customers. Before performing in that capacity, Mr. Page also held positions as Data Platform Engineer where he was responsible for the ongoing management and maintenance of various network platforms, and as Technical Support Manager where his group provided day-to-day technical support to all of the organization’s employees across the country. In addition to his Six Sigma and CCNA certifications, Mr. Page also holds various technical certifications and acknowledgements obtained during his management of various technology platforms throughout the years. He currently resides in Trooper, PA with his wife Margaret and two children.